Turn-of-the-century "candlestick" telephone, the first telephone to sit on a desk. 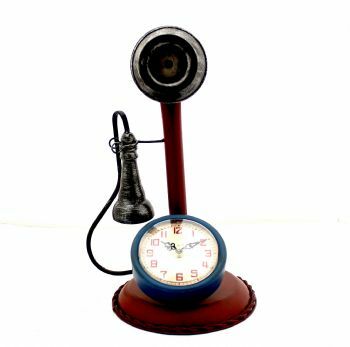 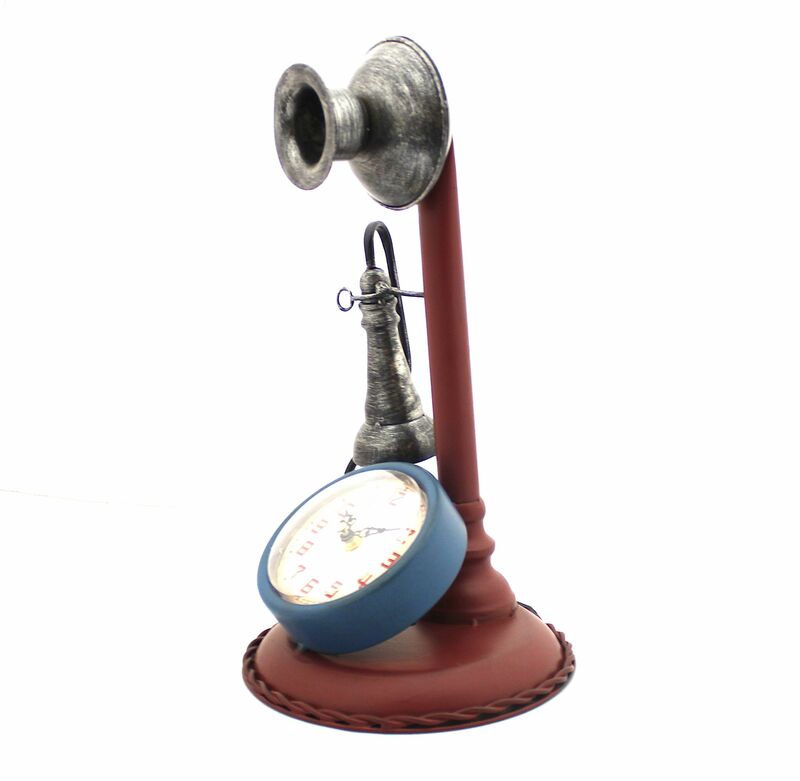 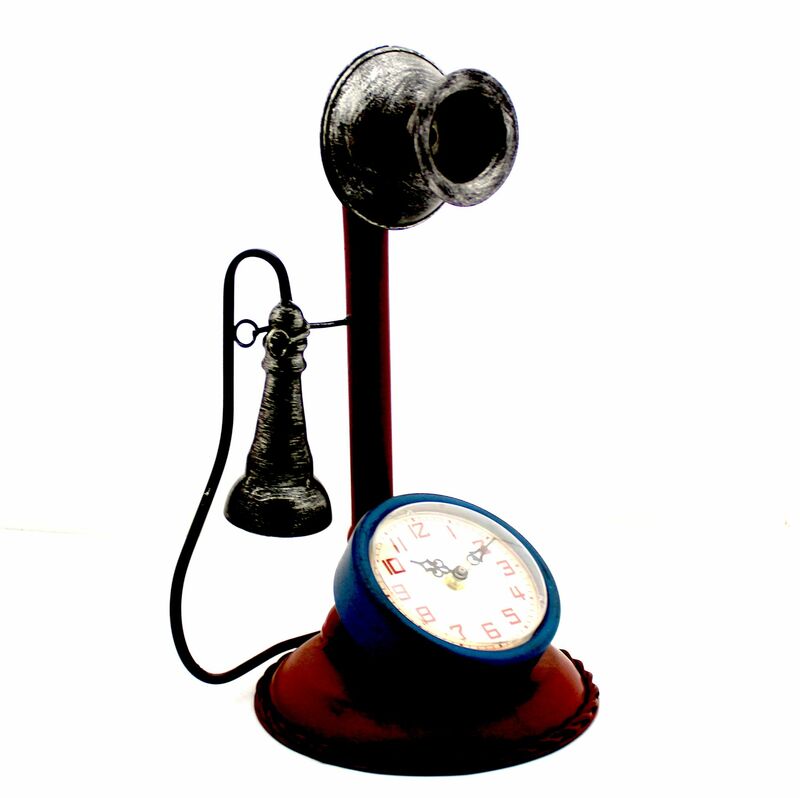 This replica is not a telephone, but a clock. 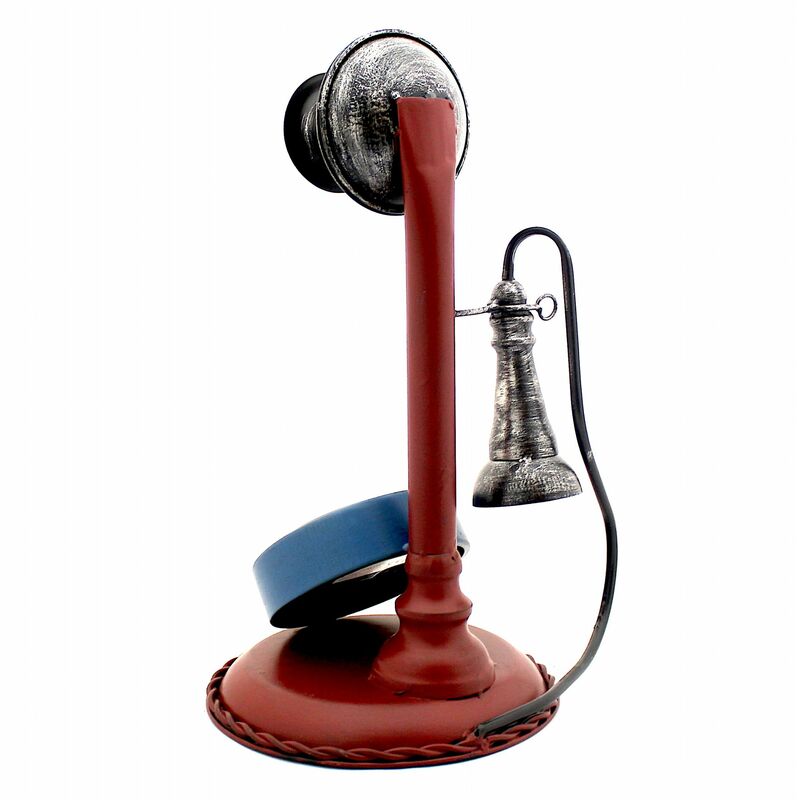 Cleverly crafted in metal, it is quite a stunner.